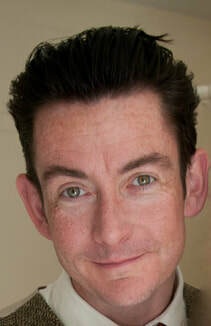 Hypnotised Bliss is a unique hypnotherapy service provided by Desmond O'Connor; a psychologist and hypnotherapist with 20 years' experience working to help individuals overcome their difficulties and recognise their strengths in order to achieve their goals. Desmond studied Education at the University of Cambridge before going on to complete an MSc in Educational Psychology at the Institute of Education, London. His interest in hypnotherapy was awakened when he and his wife used hypno-birthing to support the unassisted, drug-free birth of their two children. Desmond went on to study hypnotherapy under Tom Fortes Mayer, pioneer of the Freemind system, which uses music (live and recorded) as a catalyst for powerful and long-lasting transformative work with hypnotherapy clients. Hypnotised Bliss sessions last between one and two hours and take place either at Desmond's private practice or in the comfort of your own home. Most clients find that their goals are achieved in one or two sessions, although longer courses of treatment are available (at a reduced rate) for persistent issues or long-term difficulties. Contact Desmond now to book an appointment or arrange a telephone consultation.